Mike Warnes receives the Tauranga Franchisee of the Year award from Jan Lichtwark. 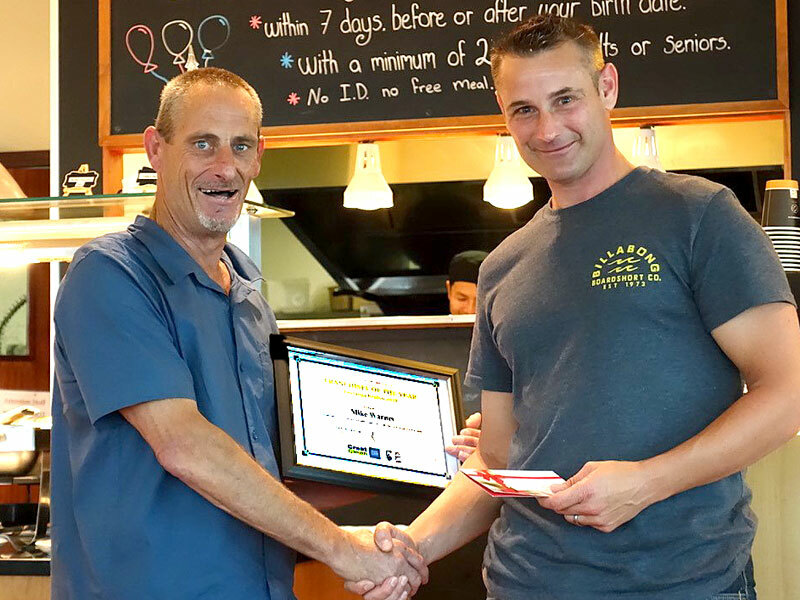 Winning CrestClean’s top award for the Tauranga region has capped off a stellar year for franchisee Mike Warnes. Mike, who has a Crest PropertyCare business, admits he was stunned to find out he was Tauranga Franchisee of the Year. “I certainly didn’t expect to win,” he says. “I guess I’ve put a fair bit of effort into making this work, but you have to when you buy a business. 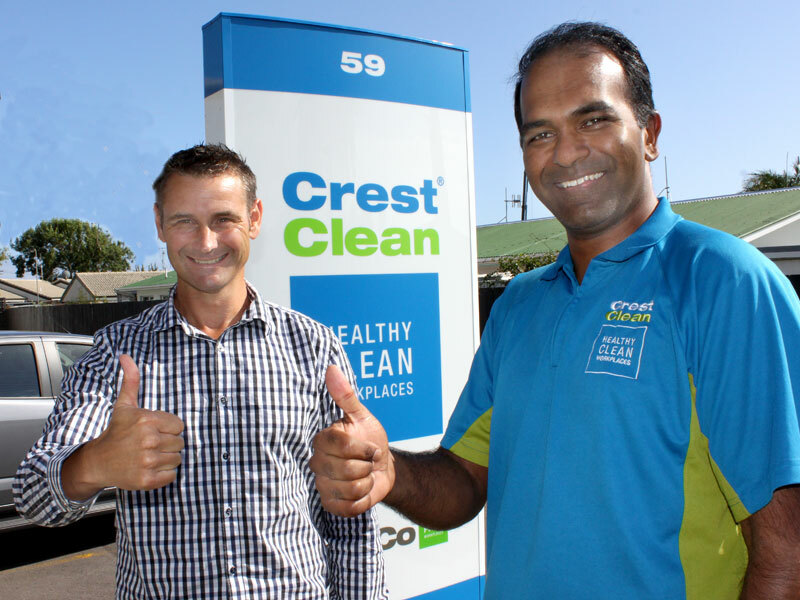 Also in the limelight is CrestClean business owners Vishaal Narayan and his wife Shabnam, who picked up the title of Tauranga Rookie Franchisees of the Year. The couple not only provide a professional service to their customers, they communicate well and really go the extra mile, says Jan.
Winning the Rookie Franchisees of the Year came as a total surprise and he was “rapt” he says – but it didn’t immediately sink in when his regional manager got in touch to congratulate him. Achieving excellence in the work place is nothing new for Vishaal and Shabnam as they’ve both picked up accolades in their day jobs. Vishaal has been VTNZ’s employee of the month and he was also top of the class during his training with the vehicle inspection company. Shabnam, who works in the aged care sector, was diversional therapist of the year for Bupa. A big factor in the way they operate their CrestClean business is focusing on what makes a customer happy, they say. “It’s not all about dollars and cents it’s about retaining our customers,” says Vishaal. “The customer comes first and we try to see what their needs are. Vishaal Narayan and his wife Shabnam picked up the title of Tauranga Rookie Franchisee of the Year. He’s pictured with Jan Lichtwark, CrestClean’s Tauranga Regional Manager.